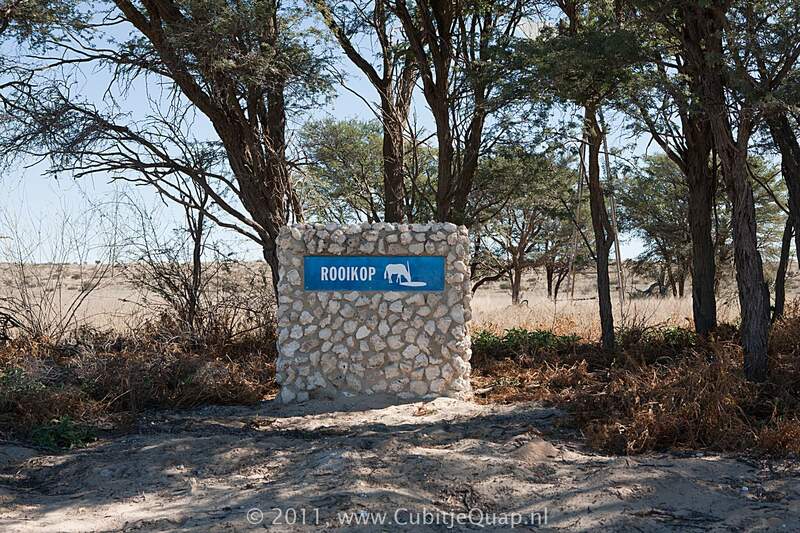 Explanation of name: Afrikaans "uitstaande duinkop wat soos n baken dien" In english: Prominent highdune which acts as marker. 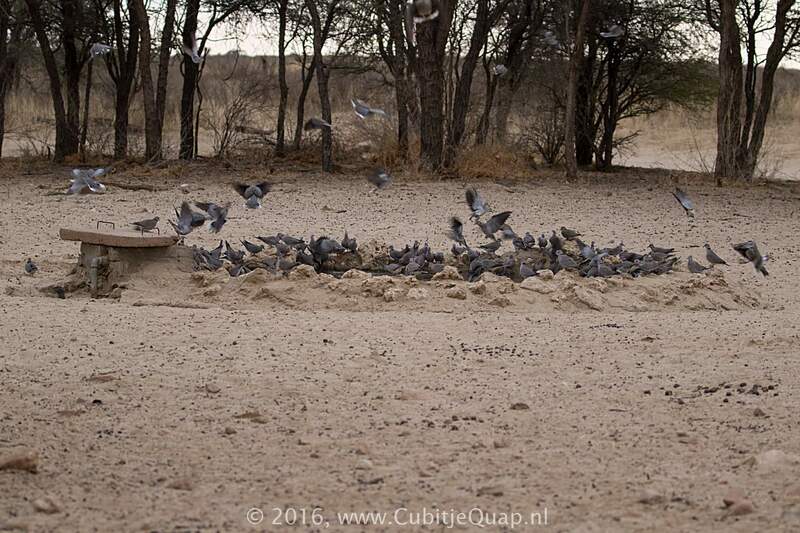 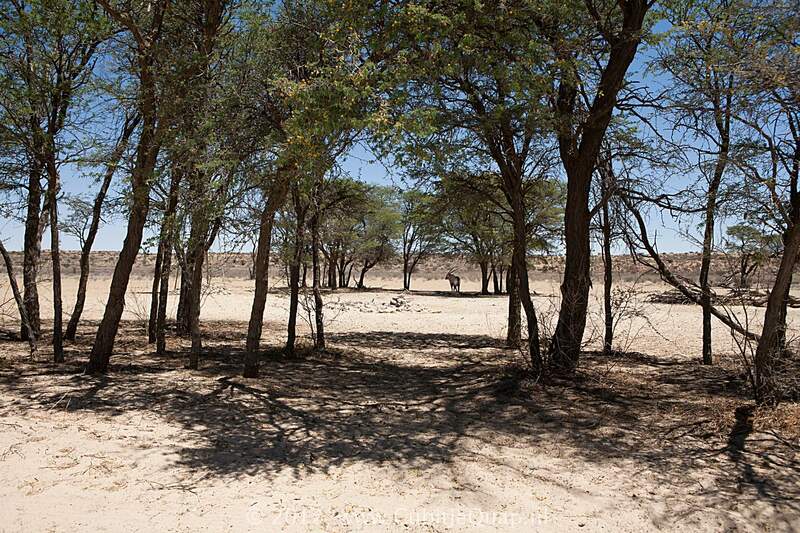 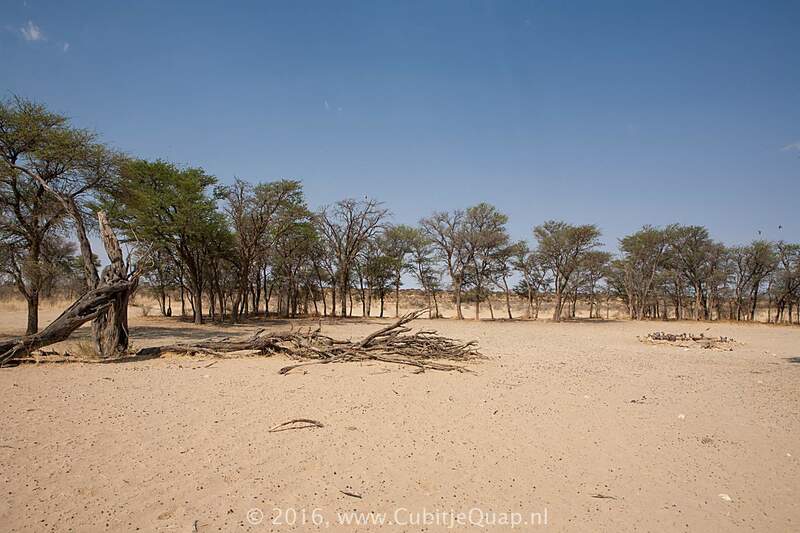 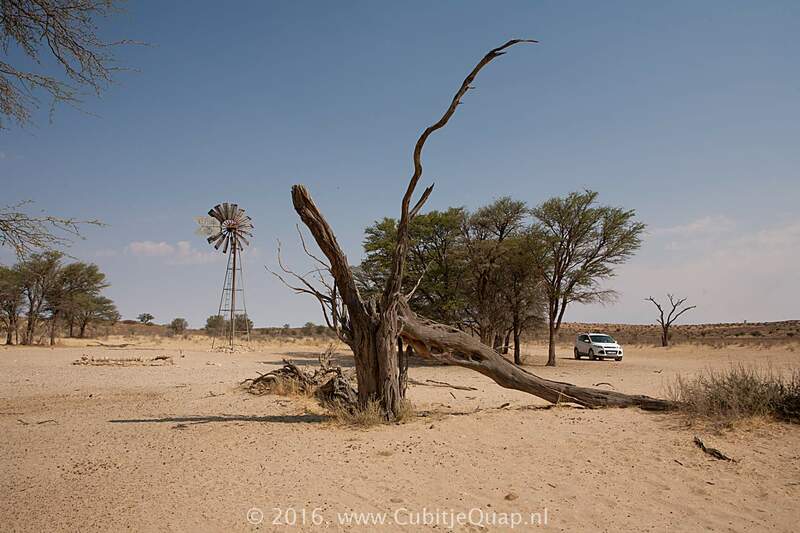 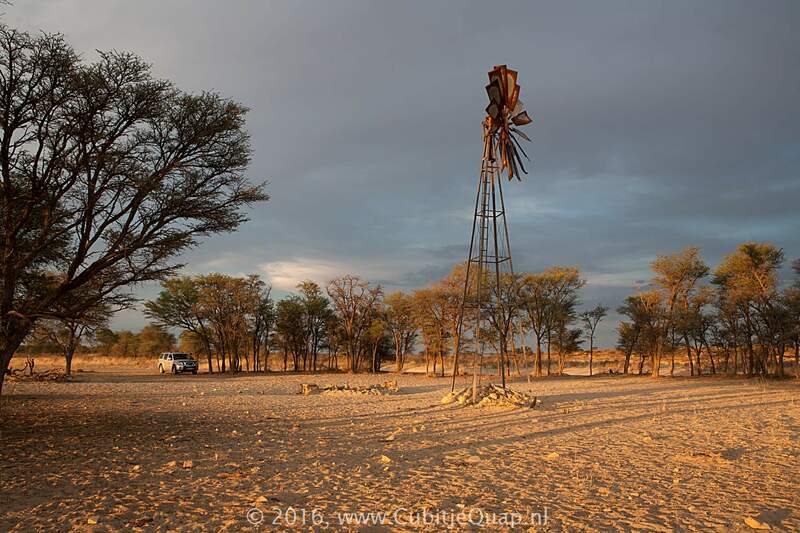 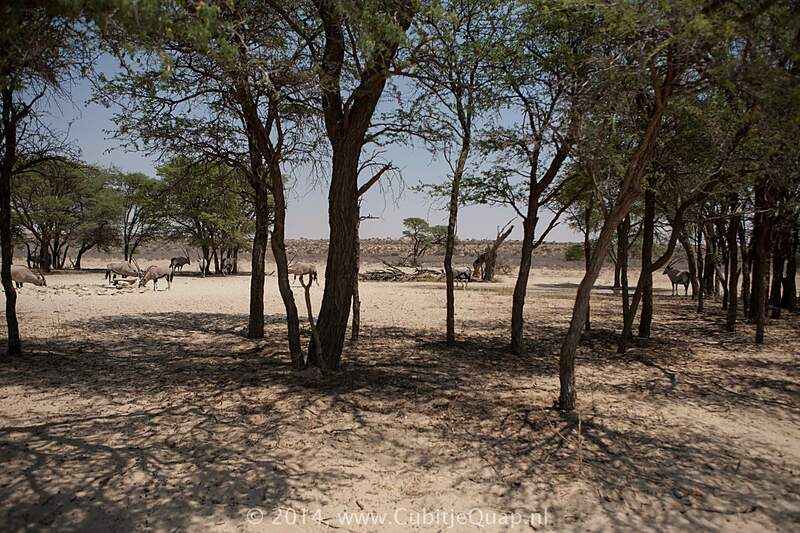 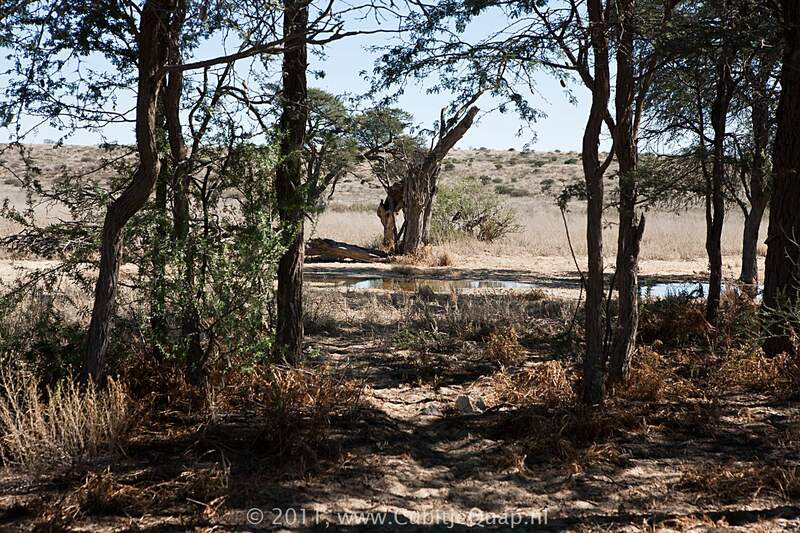 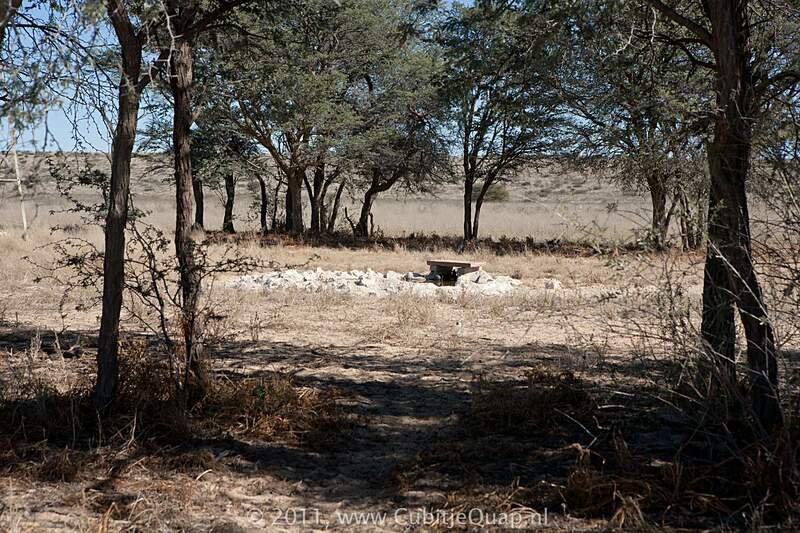 Photography: The waterhole is located approximately 25 meters to the west of the road. 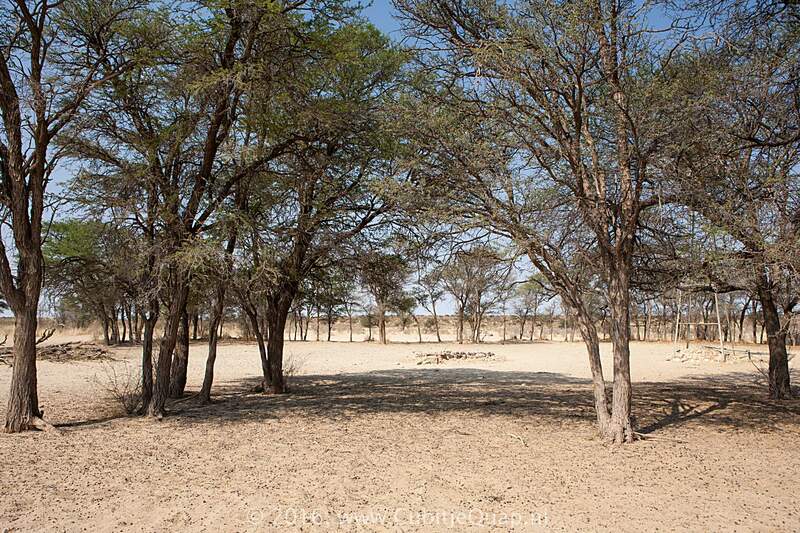 Some trees and bushes hide it from clear view, so you have to find a spot where you can look through the branches.